The Albany Area Fuller Center for Housing is just now forming in Georgia, but its work is off to a fast start thanks to about 30 students from Wittenberg University and local business partners who want to help The Fuller Center’s ministry take off in the city just south of The Fuller Center’s international headquarters. 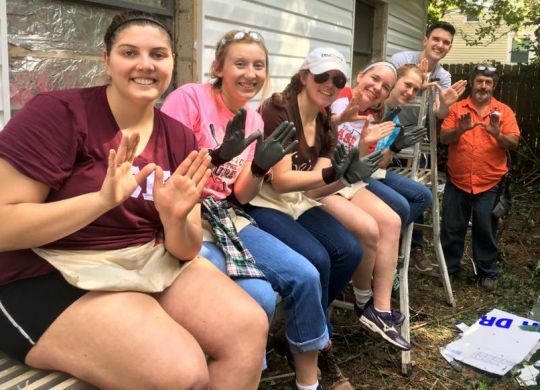 WALB-TV dropped by an Albany Area Fuller Center work site this week to check in with the team from Wittenberg that is part of a larger group of 50 students who are using their spring break to serve families in need through Fuller Center covenant partners. Click here to see the full video report.